ER 6 - Love Boat 4! The summer is well and truly here but CBS Drama is keeping the hits coming to keep you in the shade with Season 6 of ER and Season 4 of The Love Boat! 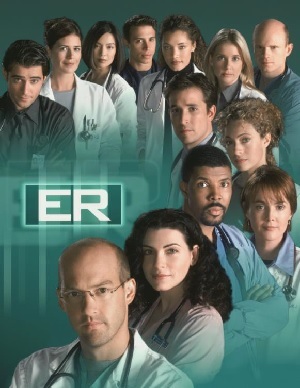 As you'd expect at this time of year ER is busier than ever and when Season 6 starts n 17th August a visiting doctor reveals a secret, a nurse gives birth to twins, and a patient murders a young doctor! This season sees Paul McCrane, Goran Visnjic, Maura Tierney, Michael Michele, Erik Palladino and Ming-Na join the esteemed cast. Then we hit the high seas for The Love Boat Season 4 on the 29th August where Julie and Gopher are becoming more than just friends when Gopher’s old college buddy (played by Tom Hanks) shows up. Meanwhile, romance and comic intrigue reign on the high seas as 25 engaged couples board the Pacific Princess to compete in a ‘Marriage-A-Thon Cruise’, and a man (Dynasty’s Al Corley) who jilted his bride-to-be shares the honeymoon with his brother and best man (Another World’s Mark Pinter).